Car insurance is probably the most expensive part of car ownership, besides the cost of the vehicle itself! And unfortunately, these costs can skyrocket if you’re caught in a road incident. 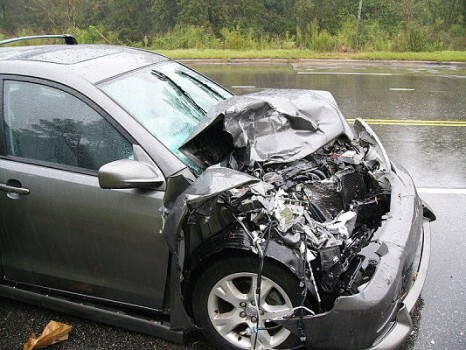 Whether it’s a car accident or a simple traffic ticket, you can quickly see the cost of your insurance cover rise. But on the good side of things, it is possible to get this cost reduced. While a road incident won’t put you on the lowest end of the insurance spectrum, you can work your way back down there with these handy tips. You won’t be able to clear the incident from your record, but it can’t hurt to have a shop around. Even if you’re only saving a small amount, different insurers will give you different rates. There are dozens of tools that can assist you with insurance quotes comparison, so have a shop around. You may be able to find an insurer that looks favorably upon people who’ve been in an accident or have a traffic ticket. If you’ve been in an accident or have received a traffic ticket, you need to prove to insurers you are safe. One way to accomplish this is to use a course like the 5 dollar traffic school online, to help keep your insurance rates lowered. By completing a training course, you are showing your skill and composure to the insurer. As long as the training provider is authorized by the DMV, you have legal proof that you’re a safer driver. Even after an incident! If you attempt to mask an accident or ticket, and it comes up again a few weeks later, you can be in big trouble. All insurance policies must be honored, by law, and failure to do so can result in some hefty fees. And these fees will likely be way more expensive than the cost of a new quote. By being honest and upfront, you will receive the lowest possible quote that matches your situation. While comprehensive coverage is your safest bet on the roads, it’s also your most expensive bet. By opting out, you can save a bunch of cash on your insurance policy. If you cut out comprehensive coverage, it’s not lost forever. You can add it back in at a later point, or switch providers and add it in there. As long as you’re super careful on the roads, you will be fine with just basic coverage. These discounts include, but are not limited to, working for a company that has a deal with the insurer. Perhaps your employer, as part of the work package, offers discount car insurance to their employees. Or, perhaps your bank offers reduced car insurance for opening an account with them. Look into all the choices available to you to find the cheapest, best deal!